Bossmare! 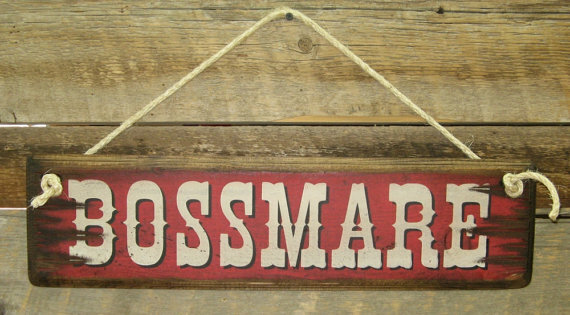 Hang this sign up and show every one who is the real boss around your place. This red background sign measures 5.5×19 and comes with the grass rope hanger for easy hanging. Handcrafted with pride! !